This has been a strange offseason for the San Francisco 49ers, and it just got worse! 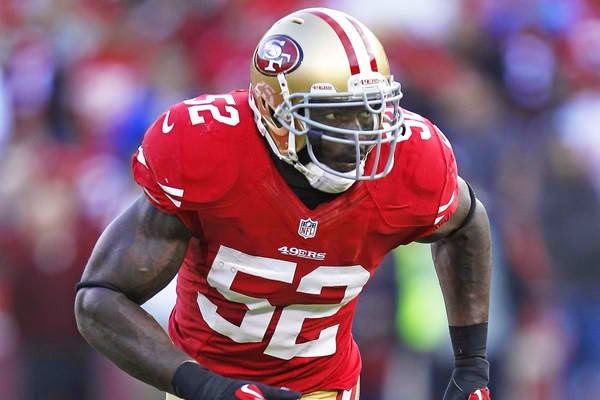 The 7 time All-Pro (5 time first team) LB Patrick Willis is rumored to announce his retirement! Willis was the 2007 NFL Defensive Rookie of the Year, selected with the 11th overall pick. Willis suffered an injury to his big toe that required season ending surgery last year, limiting him to just 6 games. He just turned 30 years old in January. Willis has recorded 733 solo tackles, the most int he NFL since 2007.